Hey everyone! I'm Eugene (he/him), Magdalene’s JCR Equal Opportunities Officer. My job is to make sure that everyone at Magdalene is able to make the most of their time at Cambridge. For this I lead a team of elected representatives for the various student demographics that align with CUSU’s liberation and equality groups. These are Womens, LGBT+, International, Disabilities and BME(Black and Minority Ethnic). Together we form the Equal Opportunities Subcommittee and we will be putting on quite a few events over the year to help bring these issues to the front of everyone’s minds. If you have any questions, ideas or if you simply fancy a chat, please message me of chat to me around college! Hey! I’m Rachel (she/her), a first year MML student and I’ll be your Women’s Officer for this year. It is my job to listen to and platform self-identifying women and non-binary students in college, in order to best represent you. During the year I’d love to run some informal events as well as continue the already established discussion groups so please come along and say hi! I’ll also be coordinating with the CUSU Women’s Campaign to promote events and discuss women’s issues at a university wide level. If you have any suggestions, questions or simply fancy a chat and a brew please don’t hesitate to get in touch – drop me a fb message or an email or chat to me around college, I’d love to hear your thoughts! Interested in this role? Elections are coming soon! Keep an eye on JCR emails/facebook group for future updates! Until a disabilities officer is elected, please contact the Equal Ops Officer or the Welfare Officers with any enquiries. Hello!!! I’m Laura (she/her) and I’m a first year, HSPSer and complete the LGBT+ dream team with the wonder that is Nathan Leach. After a rocky start accepting my own LGBTness, I have become incredibly passionate about helping and supporting the wider LGBT+ community, and what better way to make a difference than at indisputably the greatest college in Cambridge! One of the highlights of the job is obviously continuing to host Glitterbomb pres every Tuesday night (Cambridge's LGBT+ club night), while I also aim to start an LGBTea (see what I did there) one lunch or evening when you can just sit with friends and feel safe and comfortable in yourself, and able to talk about issues you may not feel able to elsewhere. If anyone has any issues within college relating to sexuality or gender it will be my privilege to help and support you, whether that be taking on the college, liaising with CUSU LGBT+, or simply just chatting - I have a kettle, lots of tea and coffee and an almost superhero ability to produce cheesy, yet inspirational pep talks at a moments notice! But genuinely, I took on this role because I want to help people, so PLEASE don't hesitate to drop me an e-mail or Facebook message anytime, any day! For more of my waffling, join the MagdLGBT+ group - whether you identify or simply want to show your support as an ally - to stay in the loop and get the deets of latest events and information!!! Happy Magdalene-ing!!! Hi I’m Nathan (he/him), studying MML – German and Portuguese - and the other half of the LGBT+ rep duet, singing together in perfect harmony with the one and only Laura Belt. I came to Cambridge feeling comfortable in my sexual identity, but this doesn't mean that everyone does, so to create a safe and nurturing environment for those in the LGBT+ community in Magdalene is my one main goal. We'll be promoting LGBT+ events whilst working closely with the CUSU LGBT+ liberation campaign, and encouraging open discussion for those who want to know more about sexuality. Over the course of this next year I'd love to organise some more intercollegiate pres and events, so if you're interested in anything we're doing, or just want to keep up to date with what's going on we’ll add you to the MagdLGBT+ Facebook group (it’s secret too). Of course, we’re very open to any suggestions and ideas from you lot so please don’t hesitate to message us, even if you just want a cuppa and a chat. Hi, I'm Howard (he/him), a second-year Historian, and your Black & Minority Ethnic (BME) Rep for this year. My job is to represent students of colour here at Magdalene, and make sure that our views are being heard and taken seriously. I'm also involved in the CUSU BME Campaign, so I'll be working to establish closer ties between college and university BME groups. My email, Facebook inbox, and door are always open, so if you have any thoughts, suggestions, or would just like to chat, please don't hesitate to get in touch! In their own words: "The Women's Campaign supports and represents all women and non-binary students at Cambridge. We work to eliminate all forms of discrimination faced by women in the University at an institutional, social, and cultural level. We strive for an inclusive campaign; all those who self-define as women, including (if they wish) those with gender identities which include 'woman', and those who feel that they experience misogynistic oppression, are members. " In their own words: "CUSU LGBT+ is the Cambridge University Students’ Union Campaign for LGBT+ students at Cambridge. We seek to represent and support all students who self identify as LGBT+." In their own words: "iCUSU is the umbrella body for all international societies and students in Cambridge University. We aim to serve as a hub for all things international happening in Cambridge, whilst looking out for the needs of internationals." In their own words: "The DSC is the organised voice of disabled students in Cambridge University. We are the newest of the five Cambridge University Students' Union (CUSU) autonomous campaigns. As an autonomous campaign, we are run by our members, for our members. 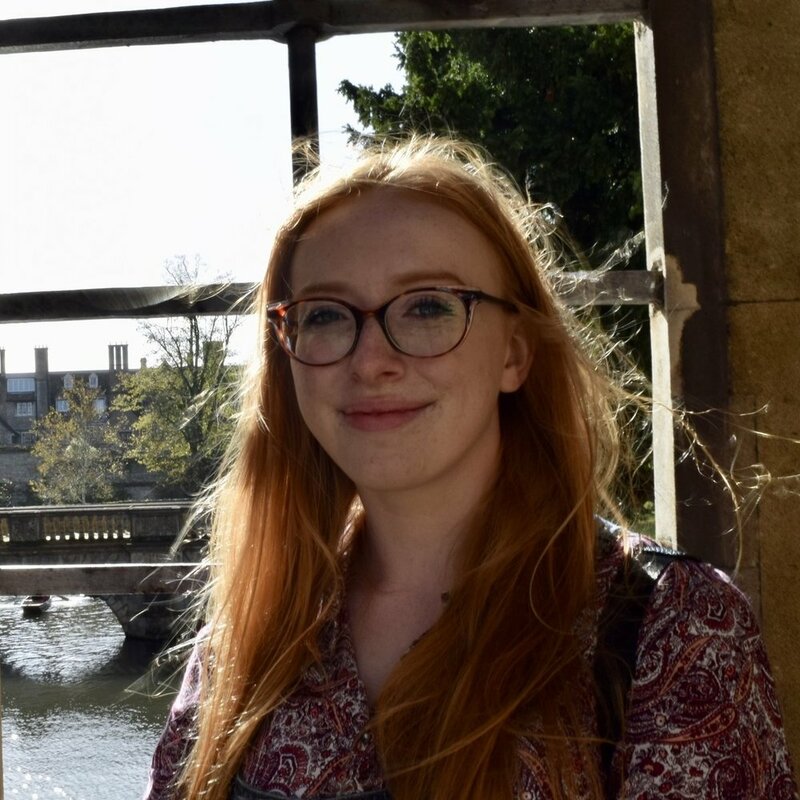 Just as any student at Cambridge is automatically a member of CUSU, any disabled student is automatically a member of the DSC and if that includes you, we hope you'll want to get involved." In their own words: "As a campaign we work with students and student officers offering support and facilitating networking within the Black & Minority Ethnic (BME) Community and the wider society. Our focus is primarily on improving race relations, fostering and developing cultural diversity, promoting integration without assimilation, and tirelessly working to ensure effective representation. Our long term goal is that all minority students can experience Cambridge life to its fullest without the slightest fear or reservation."